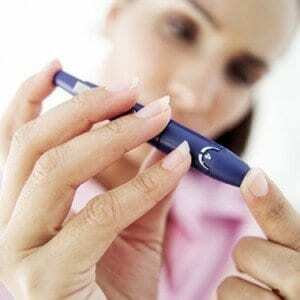 Ways To Prevent Diabetes: Type 1 diabetes is an inherited condition. At this time there is no way to prevent a person from having Type 1 diabetes. Type 2 diabetes can be prevented. Type 2 diabetes develops in those who have managed to“wear-out” their body’s natural ability to make use of the glucose in the bloodstream.. An understanding of how use of glucose in the bloodstream manages to wear down the body cells helps with recognition of the various ways to prevent diabetes. First of all, the prevention of diabetes begins with the willingness to eat a healthful diet. Such a diet should have minimum of sugars and simple carbohydrates. Simple carbohydrates are transformed into sugars very early in the digestive process. Those sugars mix with other foods in the stomach, and they are then carried into the intestines. The walls of the intestine allow the nutrients in the digestive juices to enter the bloodstream. As the digestive juices pass through the intestine, any glucose in those juices moves directly into the bloodstream. The blood then carries that glucose to all the cells in the body, cells in need of a way to make energy. Once glucose has entered the bloodstream, then the brain sends signals to special endocrine cells in the pancreas. That signal targets the Islets of Langerhans, and it tells the appropriate pancreatic cells to release insulin.. In a healthy individual, that insulin facilitates the movement of glucose from the blood into the cells. In a person with Type 2 Diabetes, the released insulin lacks the ability to move glucose into the cells. The body cells thus suffer from the absence of a needed energy source. The prevention of Type 2 diabetes must focus on ways to both limit the amount of glucose that builds up in the blood and to supply the body cells with some source of energy. Ingestion of plenty of high-fiber foods and complex carbohydrates can help to hold-off the development of Type 2 diabetes. Such foods enter the bloodstream slowly and thus help a person to remain hunger-free for a longer amount of time. The absence of hunger helps to insure the absence of temptation, temptation to eat sugars and simple carbs. A diet that contains complex carbohydrates does even more. It allows energy source to form slowly, and to move into the bloodstream slowly. The body can handle that energy source. . The body therefore benefits from the molecules that can furnish the cells with energy. Those molecules are able to get into the energy-starved cells. A second dietary consideration related to diabetes concerns those who already have Type 2 diabetes. Such patients must learn how to prevent the development of the problems that face so many diabetics. A number of those problems stem from failure of the heart or circulatory system to perform properly. The right diet can help with the functioning of the heart and circulatory system. A person with Type 2 diabetes, or a person who might be on the verge of developing Type 2 diabetes, needs to eat a limited amount of salt. A high salt diet puts an added strain on the circulatory system. A person with Type 2 diabetes should also eat a low fat diet. A diabetic needs to prevent the build-up of cholesterol in the bloodstream. The prevention of diabetes calls for the eating of fruits and vegetable with lots of antioxidants. Orange and deep green vegetables are a rich source of antioxidants. By eating such fruits and vegetables, one can limit the degree to which oxygen scavengers damage the cells. Cell damage decreases the ability of the cell to take-in glucose. Life style and habits can either prevent or enhance a person’s chances for getting Type 2 diabetes. Those who do not want to live with diabetes should avoid drinking alcohol. Smoking is a bad habit for anyone who has diabetes. Smoking adds to the amount of “junk” in the bloodstream. Smoking can aggravate any circulatory problems. A person who has been cautioned that he or she might be headed toward a future life with Type 2 diabetes does not need to accept the inevitability of that projected future. He or she can avoid getting Type 2 diabetes by maintaining a sensible weight. He or she should get on the scale and learn his or her current weight. After someone who has learned his or her weight, then the prevention of diabetes requires a few mathematical calculations. The person who wants to avoid Type 2 diabetes should divide in half whatever figure has appeared on the scale, in response to the weight of that particular person. That figure represents the number of pounds that the person needs to loose. The loss of that many pounds should allow the concerned individual to avoid developing Type 2 diabetes. The maintenance of a healthy weight does not have to mean going on a strict diet. In fact, the prevention of diabetes is aided by a behavior that also aids the burning of calories, and the eventual loss of weight. That behavior concerns the creation of a regular exercise schedule, and the willingness to stick to that schedule. A person who hopes to avoid developing Type 2 diabetes should understand that exercise does more than just burn calories. Exercise can act like a “health-giving pill.” Exercise can make cells more sensitive to insulin. When cells become more sensitive to insulin, then more glucose moves into the body cells. The cells behave more like the cells in a healthy body, a body that does not have the symptoms associated with diabetes. All of the above behaviors serve to delay the onset of Type 2 diabetes. Another behavior can aid acquisition of more information about diabetes. That one behavior is reading. A diabetic should make a habit of searching online and among printed publications for information about diabetes. Such a search could well uncover new and yet-to-be discovered ways to prevent and to control diabetes. This entry was posted in Diabetes 101 on June 29, 2010 by admin.